Dubai: Europe’s biggest budget carrier Ryanair, which caters to the Middle East market, has warned flyers against a new scam circulating on WhatsApp. 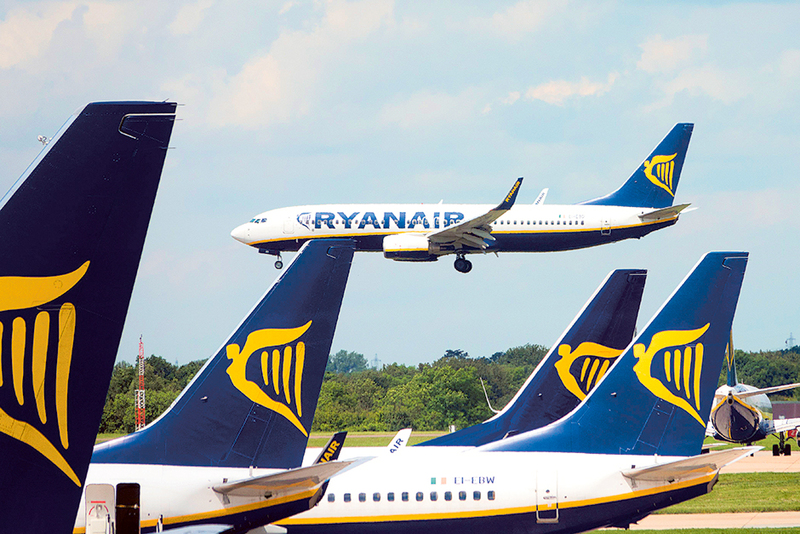 Ryanair took to social media on Sunday to alert customers about a fraudulent message that promises to give away two free air tickets and tricks customers into clicking on a link. The fake promotion bearing the airline’s logo reads: “Congratulations! You have been qualified to obtain two free tickets.” Users are then asked to pass on the message to 15 WhatsApp friends or groups and click on “claim tickets” to enter their details. The airline pointed out it is not active on WhatsApp and that the only online channels that announce free flights are the company’s official Facebook and Twitter accounts that show the “blue tick” verification. Please beware of a fake WhatsApp promotion offering free Ryanair tickets. Emirates warned early this year that travellers have been targeted by scammers through a phishing scheme that tricks people into opening a malicious link just to steal information, including usernames, passwords and credit card details. In the fake Emirates promotion, scammers tried to convince customers that the airline is giving away tickets in exchange for their participation in a survey. “Emirates has become aware of fraudulent websites purporting to offer free airline tickets to those who take an online survey. We advise anyone not to click on any links or share these links on social media,” the airline said. A similar scam popped up again in April and this time flyers were made to believe the airline was giving away free tickets in time for Emirates' birthday. 1. The message content includes instructions to forward the message. 2. The message claims you can avoid punishment, like account suspension, if you forward the message. 3. The message content includes a reward or gift. What should users do when they receive such fraudulent messages? Just block the sender, disregard the message and delete it, WhatsApp advised.